Collaborating with customers at the U. S. Steel Research and Technology Center in Pennsylvania and the Automotive Center in Michigan has propelled enhancements to PRO‑TEC’s products and capabilities. U. S. Steel and Kobe Steel recognized automakers will need advanced materials to meet the upcoming 2025 CAFE standards. 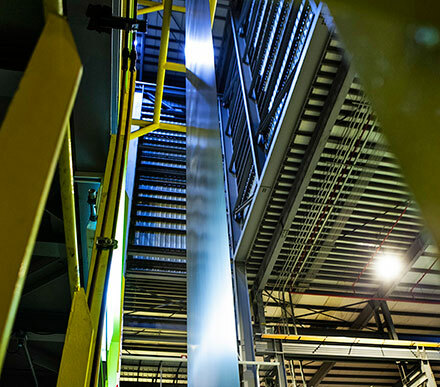 The companies invested more than $400 million in PRO-TEC’s Continuous Annealing Line to produce strong, highly formable steel that enables automakers to fabricate lightweight parts with increased strength. PRO-TEC Associates are empowered through a culture of ownership, responsibility and accountability (ORA). Their focus is to provide not only quality products for customers, but to embody an industry-leading commitment to safety in the workplace. The PRO-TEC Quality and Environmental Management System has demonstrated continual improvement through systematic processes that follow the current ISO 9001, ISO/TS 16949, ISO 14001 and ISO 17025 standards.